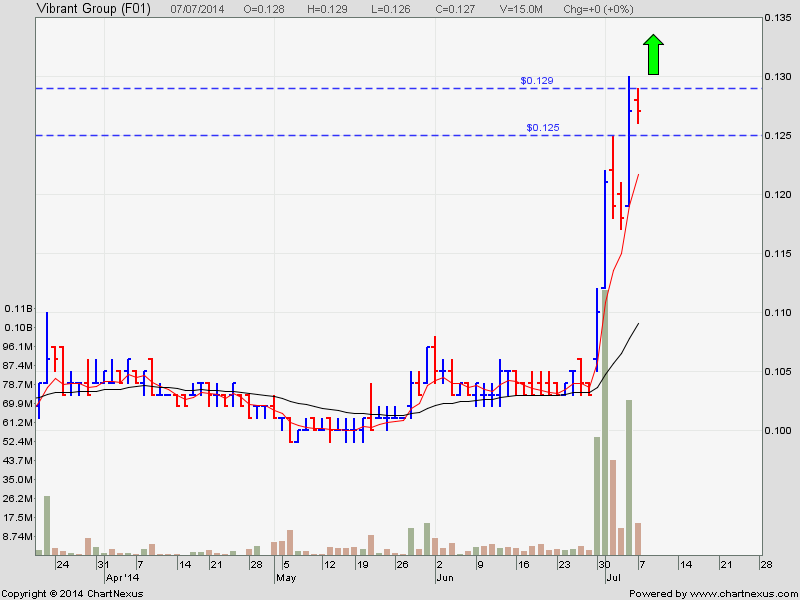 The buyers have come back again for this stock. It may start to run again. 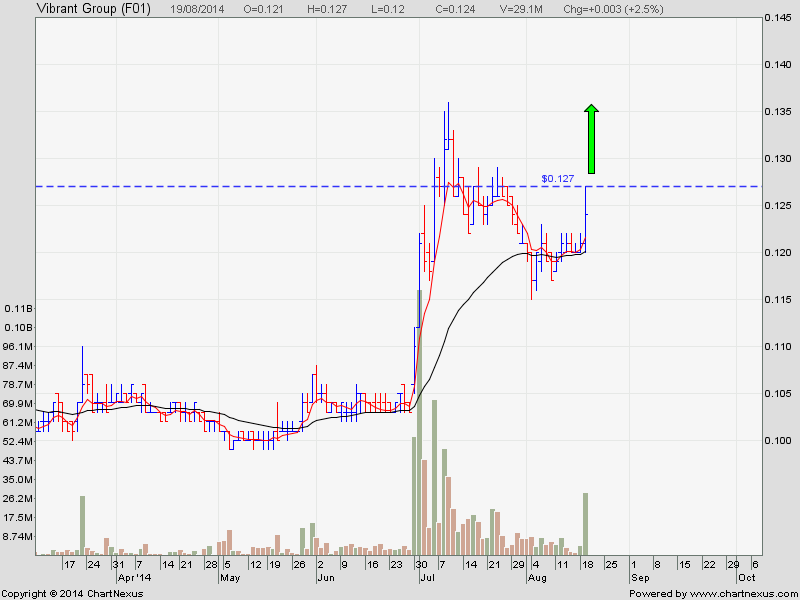 A fast and furious stock. Vibrant Group is poised for a breakout. For quick profit and intra-day trade only. Exit once the profit is good. 1) If you have profited or benefited from this blog, kindly share this blog with others on your facebook, twitter or other social media so that more people can make money. You can use the ‘share it’ box on the right. Let’s make this a Money Making blog. 2) The entry signal for the 2 stock calls posted yesterday have not been triggered. You can still trade them tomorrow.